Can Drinking Orange Juice Increase Your Risk of Developing Skin Cancer? 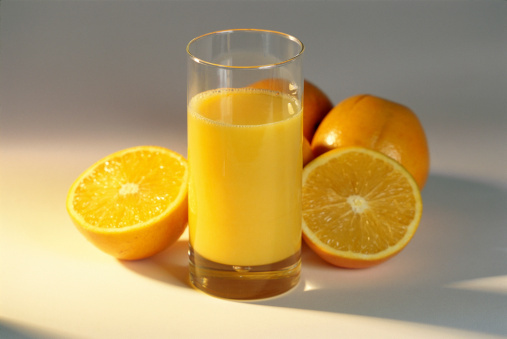 Home » Cancer » Can Drinking Orange Juice Increase Your Risk of Developing Skin Cancer? I know many of us enjoy a grapefruit or a large glass of orange juice for breakfast each morning, but a recent study published in the Journal of Clinical Oncology found that those who consume high amounts of grapefruit or orange juice are more than a third more likely to develop melanoma, a deadly form of skin cancer. • The American Cancer Society estimates that more than 135,000 new cases of melanoma are reported each year. In 2015, 73,870 cases of melanoma will be invasive—42,670 cases involving men and 31,200 cases involving women. Melanoma rates have been increasing in the U.S. over the past 30 years; the average age of diagnosis is 62 years old. • Caucasians are 20 times more at risk to develop melanoma than African Americans. • On an annual basis, melanoma kills an estimated 9,940 Americans. The Study: Can Consuming Grapefruits and Orange Juice Increase Your Melanoma Risk? The study, recently published in the Journal of Clinical Oncology, suggests that people who consume high quantities of grapefruit or orange juice are more likely to develop melanoma, compared to those who don’t. Researchers analyzed data of 63,810 women who were part of a Nurses’ Health Study conducted between 1984 and 2010; and 41,622 men that took part of the Health Professionals Follow-Up Study, conducted between 1986 and 2010. To monitor each participant’s citrus fruit intake, researchers issued a dietary questionnaire once every four years. For the study, one serving of citrus fruit was equivalent to one orange, half a grapefruit, or one six-ounce glass of orange or grapefruit juice. • During the 24- to 26-year follow-up, 1,840 participants developed melanoma. • Researchers found that participants who consumed more servings of oranges, grapefruits, or their juices had a higher risk of melanoma. Participants who consumed the fruits or their juices at least 1.6 times a day had a 36% higher risk of developing melanoma. 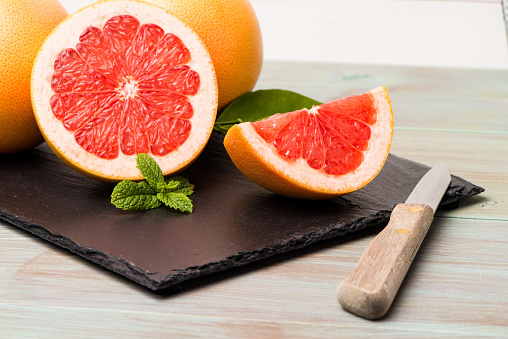 • Consuming whole grapefruit was also associated with a higher risk of developing melanoma; however, the risk was not associated with any lifestyle factors, such as age, smoking status, alcohol, and coffee intake. • Those who were prone to sunburns as a child and consumed high amounts of whole grapefruit were at the highest risk of developing melanoma. Researchers were more concerned about what is in orange juice and grapefruit that may aid in the development of melanoma. They speculate that because the fruits are rich in psoralens and furocoumarins, it may make the skin more sensitive to the sun and more susceptible to sunburns. Both substances are potential carcinogens that are found in both mice and humans. They will both interact with UV rays to trigger melanoma cells to proliferate. This study doesn’t necessarily mean you should stop your morning citrus consumption—researchers still stress the need for further research. So if you enjoy a morning glass of orange juice, don’t stop for fear of getting melanoma. 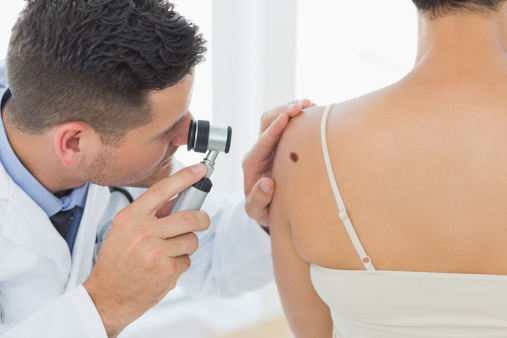 There are other risk factors that increase your chances of getting melanoma. • Sun exposure: Excessive exposure to UVA and UVB rays and blistering sunburns are not good for the skin and can potentially result in developing skin cancer, including melanoma. • Moles: There are two types of moles that can appear on the skin: normal moles, which are small blemishes or beauty marks that surface in the earlier stages of an individual’s life, and atypical moles, which can increase an individual’s risk of developing melanoma. • Personal history: If you had melanoma in the past, there’s a higher risk of it reoccurring. 1. Stay in the shade: The sun’s UV rays are the strongest between the hours of 10 a.m. and 4 p.m. If you are outside during those hours, seek shade. 2. Cover up and wear sunscreen: If you are going to expose yourself to the sun, figure out how long you can stay in the sun before you begin to burn. Wear an SPF 30 sunscreen, UV protected sunglasses, and a broad-brimmed hat. 3. Keep newborns and young children out of the sun: Blistering sunburns at a young age can increase one’s risk of developing melanoma in later years. 4. Visit your doctor once every year: Visiting your doctor at least once a year for a professional skin exam can help diagnose melanoma early if it develops. If you discover a mole or a dark spot on your body, consult your doctor first before taking any other precautions. Whiteman, H., “Skin cancer risk linked with grapefruit and orange juice,” Medical News Today web site, June 30, 2015; http://www.medicalnewstoday.com/articles/296087.php. Davies, M., “Is there a link between orange juice and SKIN CANCER? Citrus fruits may increase the risk of melanoma, studies declare,” Daily Mail web site, June 30, 2015; http://www.dailymail.co.uk/health/article-3144587/Is-link-orange-juice-SKIN-CANCER-Citrus-fruits-increase-risk-melanoma-study-declares.html. “Melanoma Causes and Risk Factors,” Skin Cancer Foundation web site; http://www.skincancer.org/skin-cancer-information/melanoma/melanoma-causes-and-risk-factors, last accessed July 10, 2015. “Melanoma Prevention Guidelines,” Skin Cancer Foundation web site; http://www.skincancer.org/skin-cancer-information/melanoma/melanoma-prevention-guidelines, last accessed July 10, 2015.